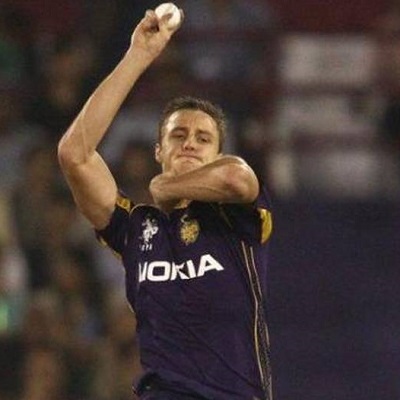 The existing champions, Kolkata Knight Riders, kicked off the ongoing Indian Premier League 2015 positively while beating Mumbai Indians by a margin of seven wickets. The latter managed 168 for the loss of three wickets in the allotted twenty overs and the former smashed 3-170 with nine balls remaining. Royal Challengers Bangalore held the seventh spot in the previous tournament by grasping just five matches out of 14, lost nine and attained 10 points. They will be playing their opening game of the event against KKR who took off from where they left in the seventh edition. Gautam Gambhir tasted his maiden fifty of the event for KKR vs. MI as Suryakumar Yadav and Manish Pandey contributed 46 and 40 runs. Robin Uthappa, is capable of scoring brisky runs whereas Shakib Al Hasan and Andre Russell are tremendous all-rounders. Morne Morkel, Piyush Chawla, Sunil Narine and Umesh Yadav bowled superbly in the last match. AB de Villiers, Virat Kohli and Chris Gayle were the star performers in the recently concluded ICC Cricket World Cup 2015 while Rilee Rossouw has improved in the shortest versions of the game. Nic Maddinson, Dinesh Karthik, S Badrinath, Mandeep Singh, Vijay Zol and Yogesh Takawale are useful batsmen of RCB. The formidable bowling unit will be looked after by Mitchell Starc, Adam Milne, Harsh Patel, Sarfraz Khan, Iqbal Abdulla, Darren Sammy, Ashok Dinda, Abu Nechim, Varun Aaron and Sean Abbott. Saturday, April 11, 2015 @ 14:30 GMT, 20:00 local at Eden Gardens, Kolkata. A forecast of afternoon thunderstorm with the temperatures around 25-33ᵒC. The winning captain will prefer to opt for bowling. The slow surface will provide much assistance to the batsmen as compared to the bowlers. Kolkata Knight Riders – Gautam Gambhir (C), Robin Uthappa, Manish Pandey, Suryakumar Yadav, Yusuf Pathan, Shakib Al Hasan, Andre Russell, Piyush Chawla, Sunil Narine, Umesh Yadav, Morne Morkel. Royal Challengers Bangalore – (From), Virat Kohli (C), Chris Gayle, Varun Aaron, Sean Abbott, Abu Nechim, S Badrinath, Shishir Bhavane, Manvinder Bisla, Yuzvendra Chahal, AB de Villiers, Ashok Dinda, Iqbal Abdulla, Dinesh Karthik, Sarfraz Khan, Nic Maddinson, Mandeep Singh, Adam Milne, Harshal Patel, Rilee Rossouw, Darren Sammy, Sandeep Warrier, Jalaj Saxena, Mitchell Starc, Yogesh Takawale, David Wiese, Vijay Zol. Kolkata Knight Riders will be the possible winners in the coming encounter. For KKR my analysis remains the same as for first match. It should be another easy victory for home team. Odds for this match is more or less same as for the first match. Back KKR now to get early advantage and chances are that you can get 10% profit before match starts. Online bookie par bhi bana lo aur banking ke liye Skrill (Click here to open account) par banawo account. Mach win: RCB 99% Sure. ..!! Best of luck friends. .. Most interesting match of ipl hoga.. 2no trf rate jaye ga its best for trading.. kKr sirf home advantage ly gi or possible ha k har jaye.. My perdiction RCB win this match.. It's a cracker match between kkr vs rob purely trading match. As per my intuition gayle didn't fireworks today. It's surely drama match. My final view is kkr. munna bhai cricket ke betting me kal punjab par har gaya to casino mein paisa lagana kaisa hoga. bet365 ka casino bhi hai.to usme jeet sakte hai kya? Listen you guys stop gambling you are not going to make any profit from pure gambling. I've said this zillion times. Once you have done that follow a simple strategy which is get hold of the favourite team and back it when odds are high and lay when odds are low to hedge (profit on both sides). the profit you make will be small but you can repeat this same process at least 5 times in 90% of IPL matches (10% will be one sided). On average you will make 50% to 80% profit in each match. The closer the contest it the more profit you will make till last ball. Don't take my trading favourite team as a team to gamble. It's only effective for trading not for gambling. Bihari bhai rasgulla aur darubaz kun c team hai? Saali sab public aur saare bookie sathiya gaye hain RCB ko already winner declare kar diya hai bhav gira ke. KKR itani bhi weak nahi ki isko aise lita lita ke maar lo match suru hone se pahle hi. Bihari ne sahi bola darubaaz ki team aaj tharra maar ke utari hai field me sab nashe me hain. kahan khelate ho? nukkad par? Malum nahi wahan kaise upar neeche hota hai. hum to kab se profit kama ke baith kar maja le rahe hain match ka. KKR ko fav le ke khela tha baki back/lay, Tarazu, Jhula sab laga ke mast profit bana dono taraf Betfair me. Bhav neeche aaya tha kkr ka 1.74 par. Lo Bhai aayaga RCB ka bhav 2.3-2.4 se 1.45 pe......Cheers!!!!!!! aise hi pilate raho apna profit mast banta rahega.